Geeks have been doing all sorts of wild things with Microsoft Kinect sensor since Microsoft launched it. The Kinect for Windows sensor hasn’t been around as long as the original gaming sensor, but it already has one of the most awesome uses I’ve ever seen for anything Microsoft manufactured. What we have here is an almost totally automated shopping cart. The cart was constructed for Whole Foods Market by a company called Chaotic Moon based in Austin, Texas. As you can see in the photo, the Kinect sensor sits on top of what appears to be a Windows-based tablet. The cart is apparently battery-powered, and uses a sensor to recognize a person using their shopper loyalty card. The cart will then follow them around the store while the shopper drops their items into the basket. The fancy cart will even scan product bar codes and mark them off your shopping list as you add them to the basket. The system will also track what you’re spending and checks you out when you finish shopping. That means you don’t have to stand in line and wait to pay. Considering most grocery stores have two of their 57 checkout lanes open at any given time, not having to stand in line is an even bigger deal than not having to push the cart. Of course, it’s not sophisticated enough to identify and weigh produce at this point, but that probably wouldn’t be hard to add. 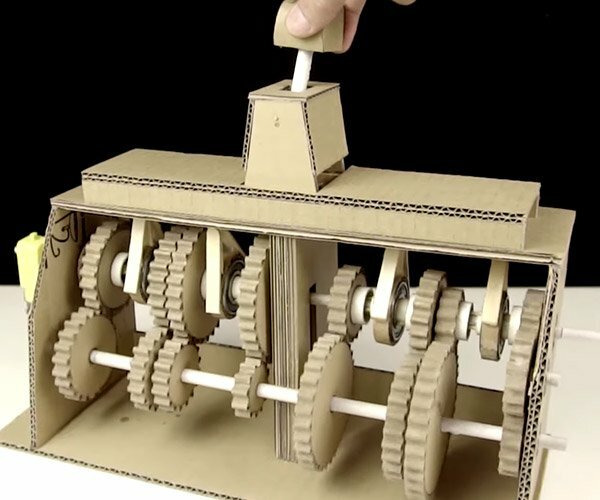 We talked about a prototype Kinect-based shopping cart a while back, but this one is much more sophisticated. 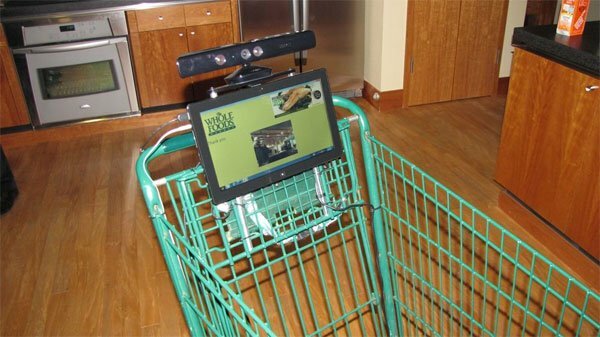 At this point, the Kinect cart is only a technology demo, but it sure would be cool to see this sort of tech show up in grocery stores some day.